Directing movies that have received commercial and critical success, Rajkumar Hirani indeed adds an aura of unconventional storytelling to Hindi cinema. In a heart-to-heart conversation with Subhash Ghai at the 5th Veda session, the gifted director revealed instances from his life experiences and shared his success philosophies with the students of Whistling Woods International (WWI). Not inclined towards the traditional education system of his time, Rajkumar Hirani shunned the established career routes to embrace the unconventional. He narrated occurrences of his pursuit of passion and determination during his early days at FTII. 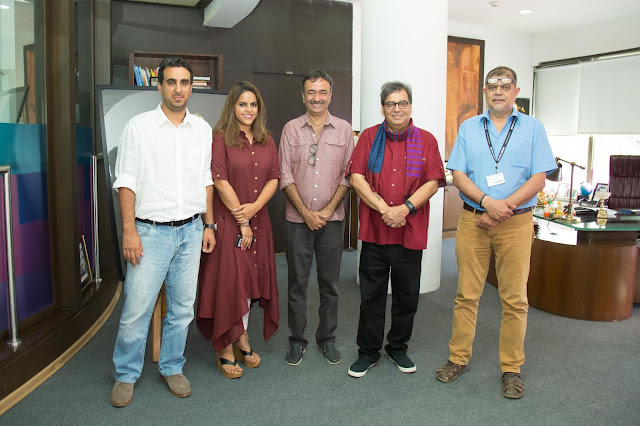 Further, in the conversation, Subhash Ghai inquired about the director’s route to success and the qualities that a student must sharpen to achieve their goals. To which, he elaborated with a quote that Geet Sethi, professional billiard player, once told him, “Passion is not enough, one should have an obsession. Passion is something you desire and obsession is the effort you put to fulfill your desire.” To substantiate the statement, he shared that it took around 14 years for him to get his first film, Munna Bhai M.B.B.S., on floors. He further shared his three fundamental principles for making a successful movie - creating a unique story, making a film that you like and not for the market and lastly, incorporating real-life triggers and experiences. The acclaimed director emphasized on a healthy director-producer relationship, the necessity of every director to the adherence and consideration of budget, which reflects on the final product on screen. The highlight of the evening was when students of the Actors' Studio performed impromptu on a situational improvisation for him to direct and comment. Rajkumar Hirani appreciated each student actor with certain tips to enhance their talent. The whole auditorium of Whistling Woods International was resonating with sheer enthusiasm and cheer when the song, 'All Is Well' from his film was sung, followed by students dancing on the stage. 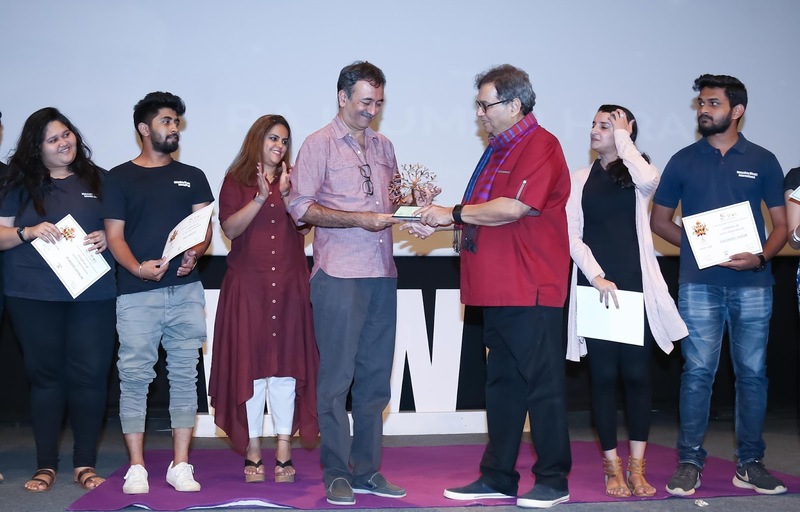 It was one of the most friendly, heart-to-heart interactive session moderated by Subhash Ghai for almost 3 hours, which came to an end with thunderous round of applause as Rajkumar Hirani was bestowed with a token of appreciation by Meghna Ghai Puri, President, WWI.